Egypt’s online industry to boom, and the way to win is …. Egypt is very close to seeing a long awaited Internet boom. Not like the one that started around year 2000 and ended up with a few moderate successes of limited impact, but one that will result in online services becoming household brands and will make millionaires out of their founders. 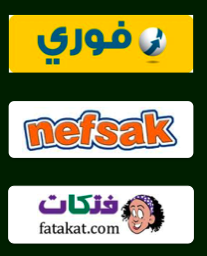 Services like fawry, nefsak, fatakat, and others will become as popular as Carrefour, Mo’men, and El Bank El Ahly. This boom is being driven by broadband penetration reaching a tipping point – with almost 2 million DSL subscribers, and multiples of this number in users. Online business has become economically viable. It is driven by a young generation, brought up side by side with the Internet, and starting to get their first pay cheques. Furthermore, it is amplified by a revolution that made facebook a must have feature on everyone’s mobile phones with 1 in every 10 Egyptians having a facebook account. 1. Think ” M a i n s t r e a m ” : the masses, the millions not the 10s of thousands, the middle class not just the rich, the Nokia C1 not the BB Bold, Ein Shams before Zamalek. 2. Empower the ” L o n g t a i l ” : the small businesses with less than 20 employees not the Multinational companies with offices all over Egypt, the simple stores not the national chain, the clinics not the hospitals- those who don’t have the organizational capacity to do it on their own. 3. Capture the ” T r a n s a c t i o n ” : offering services valuable enough to justify a payment not just an eyeball, whether thru transaction fees or subscription fees, whether by credit card or loyalty points, doesn’t make a difference as long as they get paid. Many sectors are waiting for entrepreneurs to disrupt them- retail, travel, healthcare, and recruitment are among the first to come to mind. It is an exciting time for the online industry in Egypt, and today, very few things can be as rewarding as working at or with Internet startups.